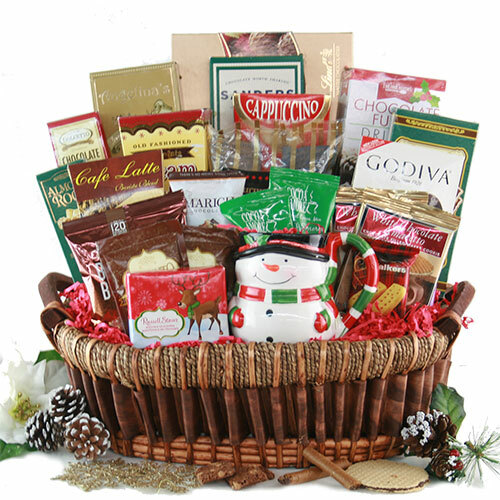 Our Grand Christmas basket is simply a masterpiece! It boasts an unparalleled compilation of heavenly gourmet pretzels, a seemingly endless array of savory truffles and gourmet chocolates and delicious coffees and cocoas for everyone to share. Elegant, beautiful and most of all an impressive addition to your holiday gifting!